Happy (much-needed) weekend, and welcome back to 3-Ingredient Happy Hour, the weekly drink column featuring super simple yet delicious libations. This week we're making a very small modification to the beloved Gin & Tonic. 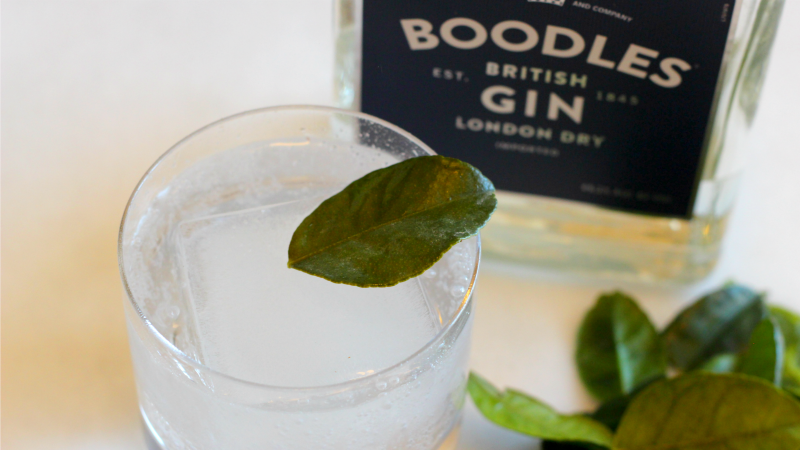 To make a really good G&T, you only really need two ingredients: Really good gin and really good tonic. The bubbly beverage is usually garnished with a lime wedge, but we're going to go out on a limb here and use a lime leaf. 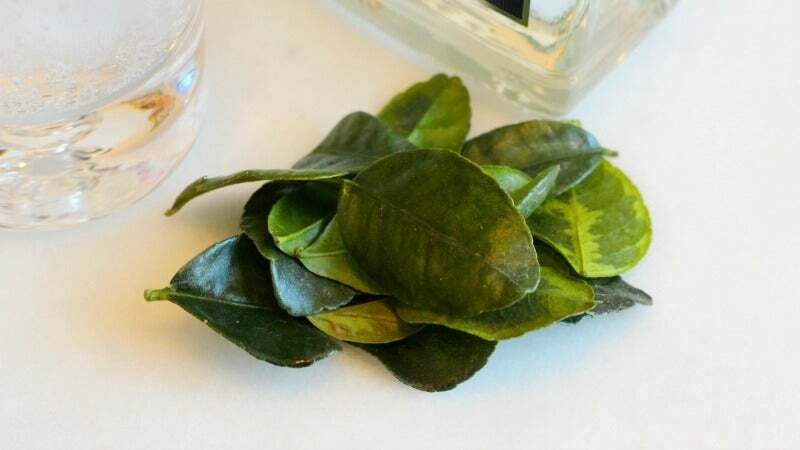 Add gin and one leaf to a shaker filled with ice, and shake until chilled. Strain into a lowball over a big ol' cube, and garnish with the second leaf.